One of my favourite things to do with Autumn is read her story's and not just at bed time. I was kindly asked to read and review this lovely little book, when it arrived Autumn was so excited she loved it right away. It's written by Tola Okogwu and illustrated by Rahima Begum and it's such a lovely little read. It's an easy to read book that flows wonderfully and the illustrations that go with it are perfect and are so well drawn. It's a story that is about a little girl spending special time with her daddy, quality time. Every week she asks her daddy to do her hair and they make it a fun and special experience. It also shows that how this time with her dad gives her confidence and pride in herself which is so important. 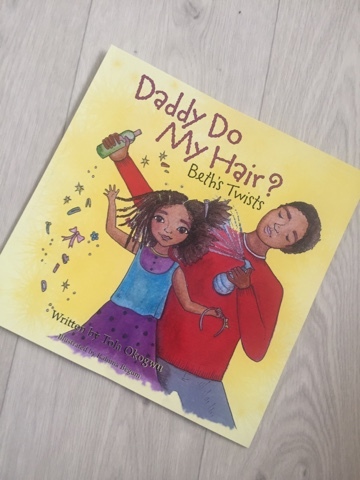 The story is such a lovely tale for children to understand that spending quality time away from modern technology and doing something as simple as doing your daughters hair whilst having fun is so important. Every illustration is beautifully drawn and really bring the whole story to life. Autumn absolutely loves this book looking at the different styles her dad says she can choose from. It teaches so many valuable lessons to your child, special time with your family, having fun, making memories, self pride and confidence. 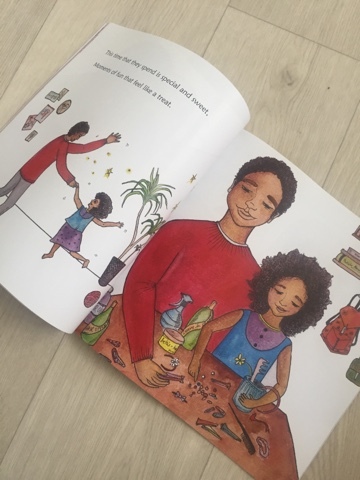 It's not the big things that make a difference it's the small things that can bring a family together and build amazing bonds it's a truly heart warming book to read. The story of this book is inspired by Tola Okogwu's relationship her husband has with her daughter. 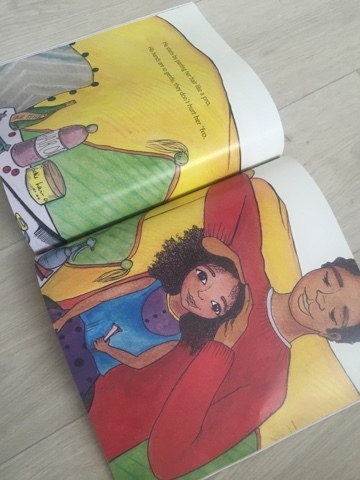 You can find out more about the book here http://daddydomyhair.com/ where you can read more about the The amazing team that brought this book to life and keep an eye on their future book releases.